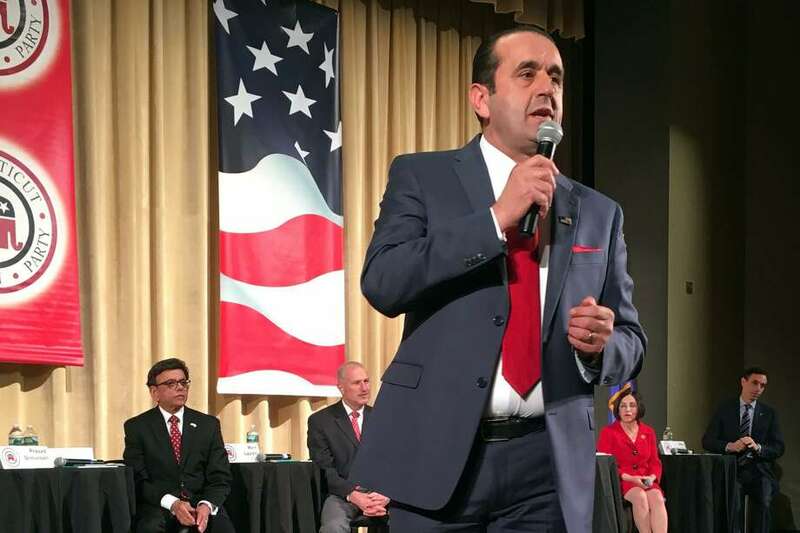 Peter Lumaj speaks during the Connecticut GOP Gubernatorial Debate held in Hebron, Conn. Jan. 10, 2018. That was the subject line of an email Friday from Republican gubernatorial candidate Peter Lumaj to his supporters blasting the state’s imminent bailout of Hartford. The capital city was $32 million in the red in 2017, a number that could grow to $61 million in 2021. The state has set aside $48 million in a special fund for distressed cities and towns.